When some one start photography from a very basic level, kit lens & 50mm are the usual lenses we finds in our photography bags. But as we explore more and more … the need of the extra lenses becoming vital to improve your work. After going through many lenses, and many reviews from the internet …. it is clear that there are 3 focal length that one must own at all cost. If you don't have these 3 focal length ….. you are wasting your time and you should put your photography gears in a box and put in the basement. So what those 3 focal lengths are ….? So are these 3 focal lengths only one needed to be a better photographer? ….. well ….. YES to some extent but i still have to add few thing more to make my point (Some more info to come in next blog). There are 3 lenses which are "All Purpose Lenses" …. just like Swiss Army Knife. Let me explain how. First of all ….. all above 3 lenses are cheap and the best when it comes to sharpness and built quality. The first 2 are Nikon F-Mount. The "03rd" one from Tokina can easily be available for the other mounts but it is mostly out of stock because of the high demand :) . 35mm f/2D: If you ask world class Pro's choose only one lens and put it on the camera and shoot all day long ….. They straight away will say … 35mm …. Nikon is still making this old D-type lens because of some special reason. 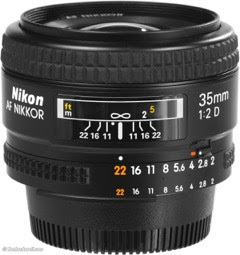 This lens provides far more close focus then any of the 35mm prime manufactured by Nikon itself (including new 35mm f/1.4G) or any other company …. which means better Bokeh. The sharpest …. colour rendition & depth you get by using this lens is far far better then any 35mm you ever finds out there. Provides around 52mm of angle of interception over DX (crop bodies). If you think its not wide enough …. then take 3 shots from left to right and stitch them in Lightroom …. now its much easier to do Panorama in the Adobe Creative Cloud system. 60mm f/2.8 D Macro: This is literally a swiss army knife lens. means it multi-purpose lens. A perfect for macro …. Perfect for Portrait (both FX full frame & DX crop body …. Specially for DX bodies) ….. Perfect normal photography lens. Yes its a perfect normal lens because in my opinion 45-60mm focal length is normal zoom lens. By the way, I am not recommending the new G-Series because its expensive and its not as good as this old D type lens when it comes to built quality. This is a must own lens for my beloved Wedding Photographers. 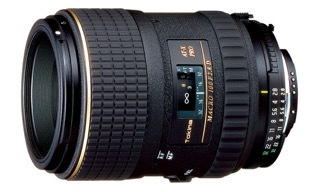 There is a reason Nikon is still making this lens ….. yes its still current production lens from Nikon. If you use this lens on DX (crop bodies) it will provide 90mm equal angle of interception (yes …. its not 1.5x zoom technically speaking). Tokina 100mm f/2.8 D AT-X Pro Macro: This is another macro lens and its sharpness …. colour rendition ….. micro contrast is through the roof. Good thing is that it is available for all major camera manufacture mounts. Its the best macro and portrait lens one can find at very cheap price. I usually don't recommend 03rd party lenses but this one is truly deserve to be "must own" lens because of its superior performance. Provides 150mm angle of interception over DX crop bodies. The whole idea for sharing above 3 lenses is to provide the best available tools for your photography at the lowest price possible. Getting expensive gears are easy and any one can recommend that because its expensive and it is marketed well. But no one and i mean no one specially the Pro's out there going to recommend something like this which not only provides the best quality but also makes you invest less money. If you don't own any of the above 3 lenses ….. then its a wastage of time i guess.